One of the fastest ways to promote your website, product, service is to use social sharing websites. We will share your website, product, service to our top 25 live social bookmarking websites. 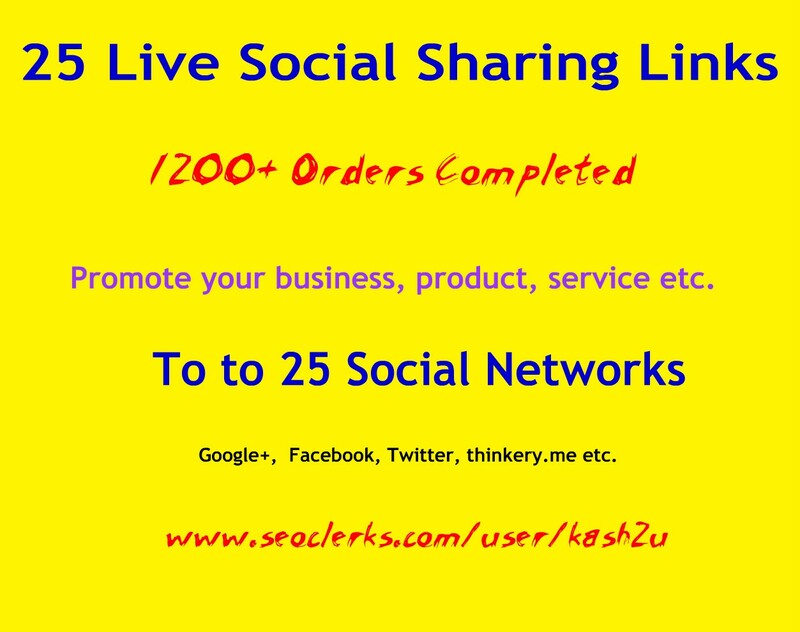 You will get live links report from Google+, Facebook, Thinkery.me, Tumblr etc. All 25 Links are permanent. Note: We don't grantee for ranking, traffic or all 25 backlinks indexing. Instant 25 Live Social Bookmarking Links within 24 hours is ranked 5 out of 5. Based on 1703 user reviews.